RF-CUNY needed to cut costs, improve efficiency and reduce the bottlenecks that came as a result of managing the mass of paper documents produced by the foundations many departments. They wanted to reduce the physical storage space as well as make it easier for employees to access and retrieve documents from any location. The organization had a legacy system to manage some of its documents, but it wasn’t sufficient to keep up with growing needs. “We needed a more agile and feature-rich solution to handle our volume of paperwork,” said Rodriguez. “Also, since we do a lot of our own in-house development, we needed it to integrate with our critical business systems. In July 2015, RF-CUNY deployed DocStar Enterprise Content Management, a scalable, strategic platform that allows organizations to manage content securely—from capture to destruction. Rodriguez and his team, along with the DocStar Professional Services team, migrated approximately 1 million documents stored in the previous system and saw immediate improvements once the documents were in the DocStar central repository. As a result of implementing DocStar Document Management, RF-CUNY was able to reduce its paper burden as well as improve workflow and increase operational efficiency by storing project-related documents in a central location. The human resources department used DocStar to scan, store and retrieve employee documents across the entire enterprise. 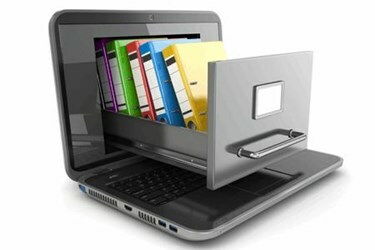 For increased security, documents have restricted access and are equipped with audit logs that can be reviewed by managers. By integrating its homegrown system with DocStar, RF-CUNY has reduced the time its team spends performing routine functions; such as scanning, filing and retrieving records. The time previously required to coordinate contract approvals and access supporting documentation has also been significantly reduced. Rodriguez says the next step in the DocStar deployment is evaluating the potential for broader document storage and increased integration with new homegrown systems.